Felt U. (Editor), Castro P., Chavot P., Erlemann M., Gonçalves M.E., Kasperowski D., Masseran A., Nolin J., Nunes J.A., Obi-Nwagwu A.U., Stein J., Stevens D., Valenduc G., Vendramin P.
Valenduc G., Vendramin P, Building a bridge between research programmes and the needs of society, PD4-01 report for the European programme VALUE / Interfaces for Innovation, Luxembourg, Dec. 1995 [ISBN 2-930062-08-8]. Patris C., Valenduc G., Warrant F., Technological innovation fostering sustainable development, in SSTC/DWTC, Levers for a sustainable development policy, Brussels, 2002, pp. 95-114. 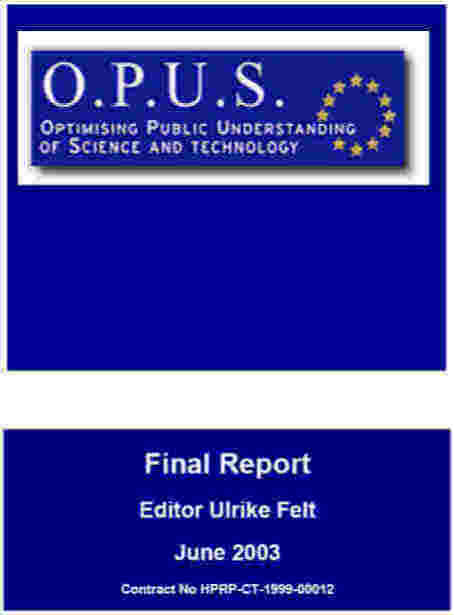 Valenduc G., Trade unions as agents of environmental awareness : outcomes from the RISE project, in Hildebrandt E., Lorentzen B., Schmidt E., "Towards a sustainable worklife", Hans Böckler Stiftung, Edition Sigma, Berlin, 2001. Vendramin P., Valenduc G., TA and the Regions : the Walloon experiment of EMERIT, in Technikfolgenabschätzung, Theorie und Praxis, Karlsruhe, vol. 11 nr 2, Juli 2002. Warrant F., Valenduc G., Innovation in services : a set of criteria to compare innovation support policies, in International Journal of Services Technology and Management, Indersciences, vol. 3 n°3, 2002. Valenduc G., Medio ambiente y empleo en una sociedad sustentable, in Más allá del crecimiento: políticas e instituciones para la sustentabilidad, Proceedings of the Biennal Congress of the International Society of Ecological Economics (ISEE), Santiago de Chile, November 1998. Valenduc G., Vendramin P., Science, technological innovation and sustainable development, in the Proceedings of the Conference Science for a Sustainable Society, Roskilde (DK), Oct. 1997. Valenduc G., Vendramin P., Social prospective of technological change: a method for T.A. in social relations, in Technology and Democracy, Proceedings of the third European Conference on Technology Assessment (ECTA-3), Vol II, pp. 466-477, Copenhagen, Nov. 1992.